Choke valves are the first primary valve used to control flow and pressure when oil and gas exits the well. In this position the valve is exposed to high velocities and direct impacts from material suspended in the oil, from fine sand and grit to sizeable chunks of rock and other debris. It is one of the most arduous applications for any valve. KKI has established a reputation as one of the world�s foremost specialists in designing and manufacturing robust, efficient and reliable valves for this most demanding duty. As well as surface choke valves, KKI manufactures an impressive range of technically advanced control valves, rotary valves and engineered severe service valves for the oil and gas, petrochemical and power industries worldwide. From its extensive manufacturing base in the UK, the company offers an unrivalled blend of proven expertise, innovative design technology and skilled engineering, which have enabled it to set the standard in severe service valve markets for more than 40 years. The company began manufacturing choke valves in 1975 as a natural progression of its established control valve expertise. 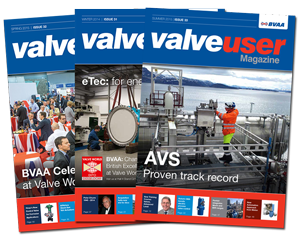 Customers were demanding valves for severe service applications further back in the pipeline. These applications called for robust choke valves � and KKI responded. Over the years, KKI has developed a range of trim designs to cope with varying in-service conditions. These trims include single stage and multi-stage trims, as well as protected seat trims for particularly sandy applications. On multi-stage trims, holes are aligned so that the individual jets must repeatedly change direction, providing controlled, staged pressure reduction while avoiding cavitation and its associated problems of erosion, vibration, noise and velocity. For highly contaminated duties, where suspended debris is likely to damage the tungsten carbide trim, KKI has developed a protective �brick stopper� trim. This sits around the tungsten carbide component and is designed to prevent impact damage that could result in catastrophic failure. Tests have shown that unprotected tungsten carbide components can fail when subjected to impacts of less than 10 joules. Recent impact testing on KKI brick stoppers has shown that these robust components can withstand impacts of up to 1300 joules without damaging the tungsten carbide trim within. KKI fits brick stoppers as standard to the majority of its surface choke valves. David Johnson says: "Impact tests are just one of a whole suite of tests that we carry out on our valves to ensure they meet customers� exact specifications. We have our own sophisticated testing facilities within our manufacturing plant, enabling us to despatch assured-quality components direct to our customers around the world." KKI conducts a range of tests, including hydraulic, flow, cryogenic, cycle and API 6A PR2 tests, depending on the demands of each application. The company has recently manufactured a number of 14" and 12" ANSI 2500 rated choke valves for use on customer FPSOs. David continues: "At KKI we actively encourage customer involvement and we take time to get to know each customer�s applications and understand their individual needs. We then, when required, design our valves from first principles to fulfil each specific requirement." KKI�s in-house design capability, with 3D modelling and CAD, gives the company complete flexibility to manufacture bespoke valves. Consequently, it has produced some unique shapes and specifications of valve to satisfy specific applications and the peculiarities of individual oil and gas installations from Australia to Norway. "The majority of machining and manufacturing work is carried out by our own skilled engineers," adds David, "giving customers the reassurance that their essential components are being produced in dedicated facilities. The result is complete peace of mind for our customers and tailor-made, high-quality, high-performance valves that are second to none."